Choosing the right mower is a difficult decision especially for individuals with special preferences like high-level landscapers and property maintenance companies. This is because different types of lawn mowers have different features that makes them suitable for specific applications. The right mower should be able to offer enough power and maneuverability to handle the job with ease. One brand that caters to a wide spectrum of mowing needs is Land Pride. From heavy-duty rotary cutters to swift zero-turns, Land Pride mowers offer many options for high-level landscapers and property maintenance businesses. Three of the top-rated Land Pride mowers that are perfect for high-level landscapers and property maintenance companies include the AFM4211 All-Flex Mower, the ZT3 Series Zero Turn Mower, and the RCD1884 Rotary Cutter. Below we delve deeper into each of these excellent options from Land Pride. The Land Pride AFM4211 All-Flex Mower is creatively designed to offer superb performance and cut quality on lavish turf grasses on areas that are well manicured and expansive like parks, sports fields, fairways, small estates, schoolyards and fairways. 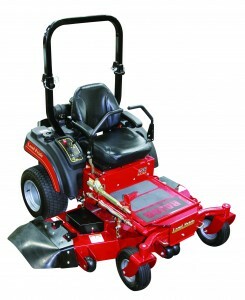 The mower has a sleek frame design that ensures zero turning radius and independent deck flotation. The AFM4211 mower also comes with hydraulic wing cylinders, which ensures easy transportation from one location to another. Some of the Land Pride AFM4211 All-Flex Mower features that you will find highly useful include a 6-inch deck overlap that eliminates skipping in a tight turn and a counter blade rotation that ensures grass clippings are evenly spread. Other amazing All-Flex features include rigid rear side deck tires, removable transportation tire spindles, automatic transport wing locks, slip-clutch protection, ABS guards and easy to grease blade spindles. The mower also does not have a protruding skid shoe, which ensures trees and other obstacles are protected. Furthermore, the design of Land Pride All-Flex mower eliminates windrowing allowing materials to escape more easily, minimize the need to replace the blade and mower parts as often. The Land Pride ZT3 Series zero turn mower is designed to offer smooth operation irrespective of the task. The mower’s seat has a perfect ergonomic design and is well positioned to give the right sight, arm extensions and legroom to groom your garden or field comfortably. This mower is perfect for individuals who need to mow around obstacles, tighter areas or to maintain a lower cutting height on undulating terrain. This mower comes with brilliant features and benefits, in addition to being a popular model that makes finding Land Pride parts a breeze. The floating axle capability ensures superior traction and smoother ride for customers living in hilly areas or in warmer and wetter climates. The highly functional twin-lever hydrostatic steering feature allows the zero turn mower to turn within its overall length. Other purposeful Land Pride ZT3 Series Zero Turn mower features include the spring suspension seat platform for a smooth ride, four anti-scalp rollers that ensures minimal scalping and lockable floating front axle for a smoother ride. The Land Pride Dual Spindle RCD1884 rotary cutter provides you with highly useful 84-inch cutting width, 360 degree rotating tailwheels and 10-inch offset to the right for quick clearing of weeds, grass and light bushes. This mower is perfect for landscapes with gentle slopes and slightly contoured areas close to drainage ditches, lakes, ponds, roadways and streams. The 2 to 12-inch cutting height makes the RCD1884 mower from Land Pride ideal for mowing crop fields, set aside acres and pastures. As one of the leading rotary cutters from Land Pride, this mower also operates at 540 rpm PTO speed and it is compatible with 35 to 60 horsepower tractors. 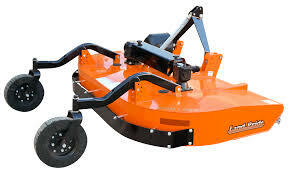 Some of the Land Pride RCD1884 rotary cutter features that make this mower unique include the shock absorbing flex-coupler between side and main gearboxes, a round back design, skid shoes, a stump jumper and a splined blade bar hub among others.